“THANK YOU” to the following businesses and business owners! 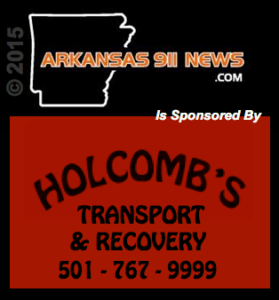 Holcomb’s Transport & Recovery took a very keen interest in Arkansas 911 News early on. 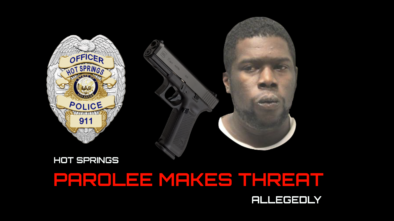 They recognize and understand that everybody drives a car and that everybody is watching Arkansas 911 News. 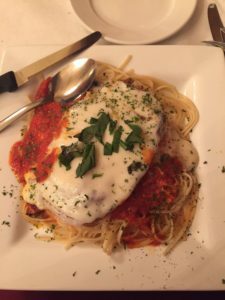 Owner David Holcomb wants his business seen by as many people as possible for the lowest price possible and he is getting all of that right here. 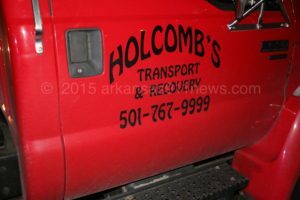 Holcomb’s Transport & Recovery is a complete 24/7 roadside assistance friend that you can count on for almost any roadside mishap from running out of gas and becoming stranded to transporting motor vehicle collision evidence for all law enforcement agencies operating in and around Garland County. 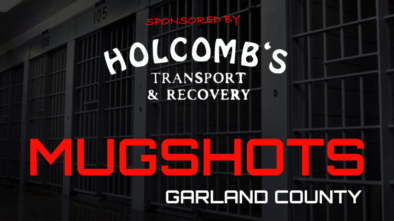 Some of the services provided include: jump starts, repairing flat tires, lock out service, car hauling, recover vehicles from crash scenes and other strange places including the bottoms of our local lakes. 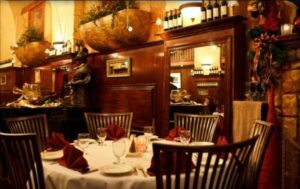 Belle Arti – Fine Italian Dining with the atmosphere to match. 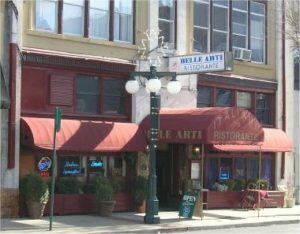 Belle Arti is an authentic, casual AND luxurious dining experience all in the same visit. 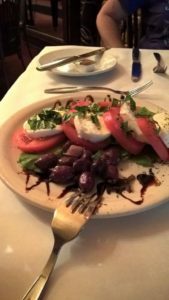 Fine dining decor and superbly prepared Italian dishes can be found here every night of the week with special dinner offers announced around the holidays. 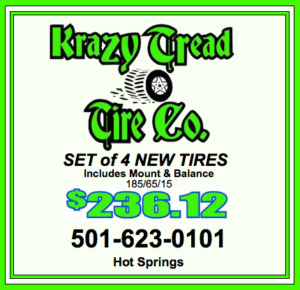 Krazy Tread is a full service tire shop conveniently located just North of Hot Springs at the Fountain Lake Shopping Center on Highway 7. If you need tires, you need to check out Krazy Tread before you check anywhere else. Customers saving between $200 – $400 dollars on new sets of tires is not uncommon at all here. Krazy Tread can help you find tires for any vehicle make, wheel size, application, brand, etc. They also offer various service and check up tasks for your vehicle including oil changes, alignments, brake service, etc. 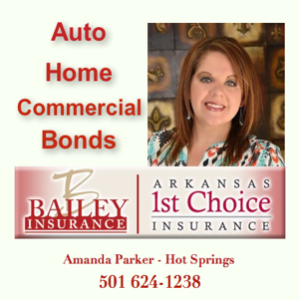 Amanda Parker wants to save you money on your insurance premiums! Give her a call and let her get those monthly insurance bills under control! 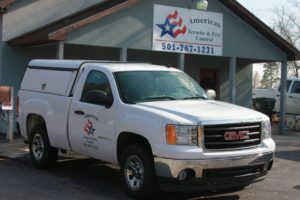 American Termite & Pest Control knows how to keep your buildings critter-free. They can scare away and trap everything from ants to raccoons. Spring time is here and so are the bugs! Give them a call and let them help you get a grip on your pests. Spring time means you will be waking up your air conditioner units. Those things need to be checked and maintained. 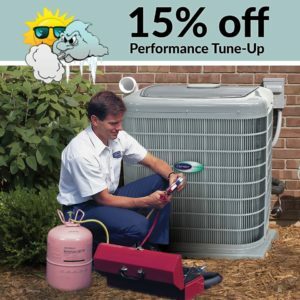 Carpenter Heating & Air can service and repair all brands of heating and air conditioning equipment. High quality heating & air products at competitive prices – your comfort is their specialty! Arkansas is our home, and all of you are our friends and neighbors. We want to help you get into a great car that you can afford. Our family has been in this business for over 26 years. We love connecting good people with great cars, and we can do it all without getting the banks involved. That’s because we do our own financing here at Lloyd’s Auto Sales. 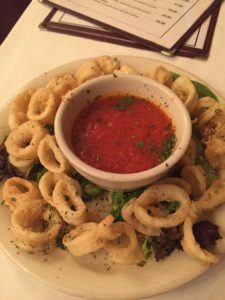 Let our team take care of you. We believe in no-pressure no-hassle sales here at Lloyd’s Auto Sales. 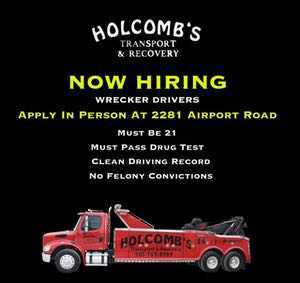 Our associates will take the time to get to know you. They want to put a face to your name, and they want to find out what it will take to make you smile. They will work for you not against you. 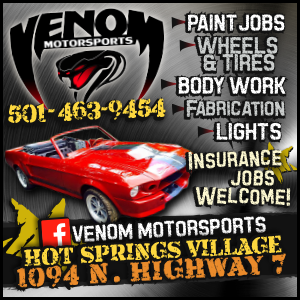 Let them use our huge selection to find you the perfect vehicle in Hot Springs. 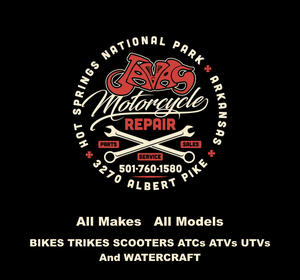 We serve the entire state of Arkansas, and we are more than happy to welcome our Little Rock, Arkadelphia, Pine Bluff, Jacksonville, Conway, Jonesboro, Fayetteville, Bentonville, Searcy, Fort Smith and Texarkana customers. Buy here pay here is the system we use here at Lloyd’s Auto Sales. To put it simply, it allows us to completely eliminate the middleman when it comes time to get you financed for the vehicle you want. No banks, no credit unions, just us. When other dealerships say “NO”, we say “YES”. We work for you, not the banks, and we want to get you into a car regardless of your credit situation. We build our loans to fit right into your budget. Lloyd’s Auto Sales wants to help you rebuild your credit. Let us get you financed right here in Hot Springs, where we serve all of Arkansas. In our inventory, we have more than a little bit of everything. We have a lot of everything. You can find the cars, trucks, SUVs, and vans that you need at a price you can afford. Our lot features a variety of makes and models. With well over 100 vehicles on our lot every day, you can be sure that the perfect car is just waiting for you. All our vehicles are reliable and safe. We back them up with a 12-month or 12,000-mile warranty, where else are you going to get used car protection like that? 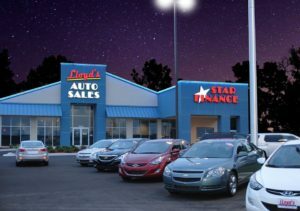 Come to Lloyd’s Auto Sales in Hot Springs today, and we will find your perfect vehicle. Our service center is just up the road a mile. They can take care of anything that you need done with your vehicle including oil changes, fluid flushes, filter changes, and anything else that you may need. Come to the team that you can count on. Come to our service center. If you want to buy your next vehicle from a team of friendly people that will actually take the time to listen to your needs and concerns, then come to Lloyd’s Auto Sales. We never pass judgment on our customers, and we always seek to get you into the perfect vehicle for both your life and your budget. Let us work with you even if you have bad credit, poor credit, or no credit. We say yes when other dealership say no. Our team builds long-term relationships with our customers. We don’t just want to be your car dealer today, we want to be your car dealer for life, and we are prepared to earn your business.